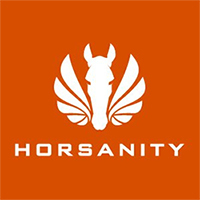 Horsanity exists to provide horse assisted leadership pathways for people from all walks of life. We are a virtual organisation that works collaboratively with others for client specific projects. Consultant teams are assembled based on their relevant capability and expertise. We offer mainstream approaches enriched by the potency of the human-animal partnership, a pathway to the under-utilised know-how of instinct, intuition, sensory and extra-sensory awareness. Science may never be able to totally explain this wisdom but through the metaphor of the horse and through real-life interaction with these animals, shifts of consciousness are possible. Instincts in people forced to sit at desks can be reinvigorated. Moving with creatures who have not been conditioned by human thought patterns can awaken intuition, creativity and communication skills through non-verbal body centred wisdom. Our specialties include: Leadership Development, Team Effectiveness, Organisational Systemic Analysis, Executive Coaching, Human and Equine Assisted Facilitation, Emotional and Social Intelligence and access to knowledge that defies logic. We offer Personal and Business Constellations and utilise the Enneagram, The Leadership Circle Individual 360 degree Profile and Culture Survey, DISC, iWAM, LAB and extensive training from Horsedreams International, Skyhorse EGE, and the Equine Psychotherapy Institute of Australia.